According to the U.S. National Environmental Policy Act, the goal of sustainability is to “create and maintain conditions, under which humans and nature can exist in productive harmony, that permit fulfilling the social, economic, and other requirements of present and future generations.” Keeping future generations in mind suggests an environmental component to sustainability. 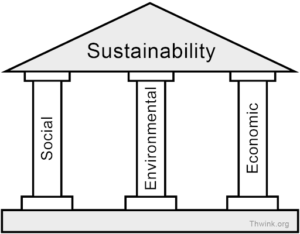 We can identify the three pillars of sustainability, then, as social, economic, and environmental. Within each of those domains, sustainability is seeking productive harmony and attempting to limit the harm that is done. In other words, the goals of one pillar should be attainable without compromising the goals of the other two. When there is tension between the pillars, careful reflection is required on the part of those individuals, or organizations, striving for sustainability. Because reflection is so essential to sustainable practice, we believe that reflection should be added to the definition of sustainability. In the metaphorical structure of the pillars holding up a roof of sustainability, reflection is the foundation. Recently, both Jen and Michee touched upon authorial intent and reader interpretation in their incredibly thoughtful blog posts. In “Whose Story is it Anyway?,” Michee brought up a debate I have been struggling with. Admittedly, I felt a tinge of panic when I came to the blog and found that others had written about something that I had also been thinking about. EVEN THOUGH in all of the classes I’ve taken with Dr. McCoy, she has given us permission, and even encouraged my classmates and I to go back… To remember what others have written on or spoken about… To build off of different ideas that are already taking up space. Sometimes there is a discussion already occurring that sparks a thought or a question within us that allows us to propel forward. I was reading Katie’s post, entitled “In a Course Called “Metropolis,” I Almost Thought the Setting Didn’t Matter: Confessing, Reflecting, and Trying to “Do Better,”” and I thought “not only is this so eloquent and thought-provoking, but I actually have the exact opposite experience.” So, I decided I should document it! … Yes. It’s another poem. So much of my academic workload has been rooted in poetry this semester, I can’t seem to escape it. I recently came across this poem by writer Terisa Siagatonu while I was researching for my creative writing class, and not only did I fall in love with the language, but I also noticed how clearly it paralleled the course concepts for our class. 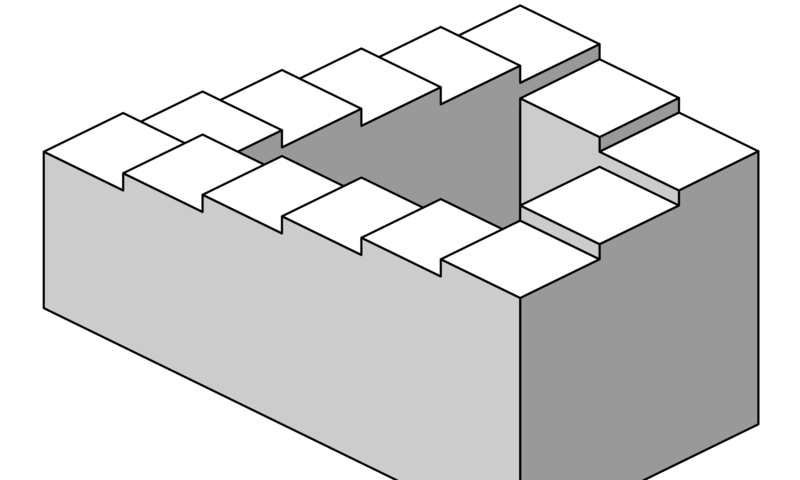 Posted on April 30, 2018 by Sakshi Kumar - No Comments on Preserving Memory: Whose Job is it and How Do We Do It? Preserving Memory: Whose Job is it and How Do We Do It? A few posts ago, I discussed Patricia Smith’s (literal) performance of Blood Dazzler, and I promised to highlight an interview I found of hers, but didn’t, because my post already seemed too muddled at the time. I apologize in advance, I just can’t get myself to move past it; Patricia Smith’s work is phenomenal. I know many people have already talked about the significance of naming, but I’m still fascinated by it. I’d like to cycle way back to Helen, who suggested that names are a kind of “conscription into performance” setting “expectations that people inevitably believe will play out in reality.” This is something that particularly stuck with me since I read it, and I wanted to attempt to navigate the implications of that sentiment and its relation to my life. Posted on April 11, 2018 April 11, 2018 by Sakshi Kumar - No Comments on More on Patricia Smith! I suppose the time has come and gone (or at least shifted) from our focus on Blood Dazzler by Patricia Smith. However, I have been moved by her words ever since, particularly those of “Katrina” and “11 A.M., Wednesday, August 24, 2005,” in which Smith personifies Hurricane Katrina. This led to our classes’ exploration on the significance of naming. I’ll admit, I’m a huge poetry nerd, and since then, I’ve even been inspired by Smith to write several different poems on names and origins.